Susanna Buffo: Let’s look at the past and at the break-up with Visconti. Regrets? Satisfactions? Dante Del Vecchio: Sorrow yes, of course, I can’t deny it. It was heart-breaking, like leaving a son. 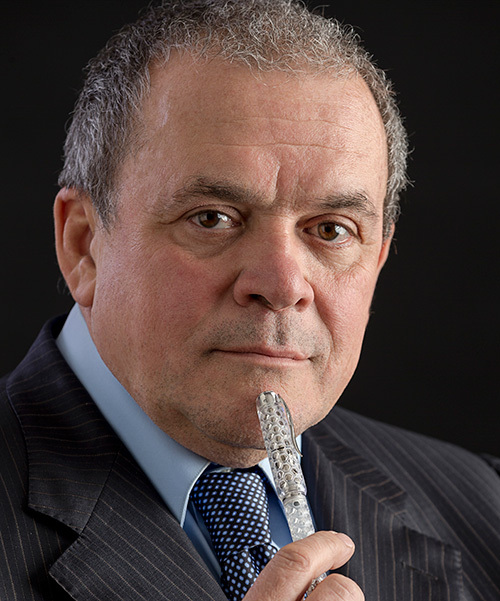 I gave Visconti 30 years of my life: the break-up was painful. The last couple of years were hard, due to conflicts with my associate (that I considered a friend) and due to the watch business that was difficult and demanding. However, above all, the crumbling of a friendship with my associate was very hard. There were positive moments, too, such as proofs of affection and support from many employees, colleagues, and especially from customers and collectors. I received more than 1,000 letters, some of them were really very touching. I also drew great satisfaction from the fact that I ran the company with transparency and uprightness for many years, as proven during an audit back in 2016 by the Italian Guardia di Finanza (the Italian law enforcement agency equivalent to the Auditor General). On that occasion, they scrutinized my books. In the end, we formalized our break-up and everyone went their own way. Susanna Buffo: And now, let’s talk about Pineider. How did it happen? Dante Del Vecchio: I met the current owners of Pineider (the Rovagnati family) during the break-up with Visconti. 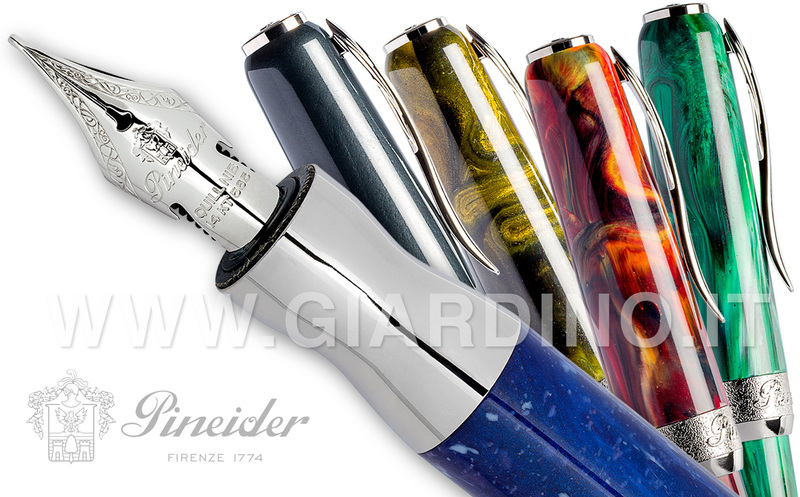 Visconti was planning to produce Pineider branded pens. Instead of going ahead with the pen project at Visconti, Pineider made me a proposal. I accepted. Susanna Buffo: Did you have free reign? Dante Del Vecchio: Absolutely! By the way, I have always listened to everybody, but in the end I do what I want. This is my way of working to get results. If I make mistakes, it’s on me and it’s nobody else’s fault. I had to create the pen department from scratch. I must say that we have achieved everything that we set out to. Susanna Buffo: Is the newly patented magnetic closure system your work? Dante Del Vecchio: (laughing) What do you think? Yes, of course. I brought a gust of innovation in Pineider: I introduced new technology, I didn’t copy anything from Visconti (where I generated and gifted almost 20 patents). Pineider is now technologically advanced, because it was me the innovator at Visconti, and they’re still living on with my technology. Here, I optimized the manufacturing process and reduced production costs. This allowed Pineider to offer high-quality products at competitive prices. Susanna Buffo: Will you continue that way? Dante Del Vecchio: Well, in September one of my filling system innovations will be launched. I can’t tell you everything now, but it’s a definite improvement of the piston filler. Its name will be Mystery Filler and it’s an exciting mechanical prototype, like an F1 car. Susanna Buffo: And the nib of La Grande Bellezza? Is it your work? Dante Del Vecchio: Yes, it’s an original project that I launched as soon as I started at Pineider. It’s not a calligraphic nib even if it’s flexible. It has side hollows and it’s made of 14-kt gold, which is a first in a shaped nib. The central hole, that defines flexibility, is engraved by burin (a steel cutting tool). Did you know that the central cut doesn’t go as far as the hole, in B and Stub toes? Actually, this is because these nibs don’t need great flexibility. Susanna Buffo: Avatar and La Grande Bellezza are names of worldwide known movies. Is it by coincidence or by choice? Will you go on with the series? Dante Del Vecchio: Yes, it’s by choice, and yes, I intend to go on. I love to give pens beautiful, meaningful names that tell stories. Avatar and La Grande Bellezza are series of pens which will include several models: for example, the Honeycomb belongs to the La Grande Bellezza series. The next movie – and therefore the next pen series – will be completely different from the previous. They will be Back to the Future and will be made in 2019. It will be very modern, futuristic, absolutely different from all that I’ve made before. After the resin mixed with marble dust that I’ve used to produce La Grande Bellezza Gemstones, we will use another very innovative material: an “Arco” resin, like the Omas’ Arco celluloid. We’ll make turned pens, not molded, of superior quality. We will substitute celluloid with resin, as nowadays celluloid has excessive costs, it’s difficult to work with, and has an unreliable life span. Susanna Buffo: For the first time in pens’ history, as far as I know, your personal success surpassed the pens’ success. Any comment? Dante Del Vecchio: (laughing) Go figure, abroad they don’t call me Dante, or Del Vecchio: they call me Master. I’m quite impressed, because it seems to me a very “senior-like” title… however, with age comes a little bit of wisdom, right? Therefore, it’s ok. It’s true, I have much more exposure now than when I was in Visconti. Susanna Buffo: Are you bonded to Pineider or are you a free-lancer? In this case, should we expect to see a pen of yours with another brand, next year? Dante Del Vecchio: I have an agreement with Pineider, as an exclusive consultant, for 36 months until the end of 2019. I’m doing a good job and I found friends that I respect with whom I share common goals. Therefore, I believe they are going to renew the contract; if not, it won’t be a tragedy. I have plenty of job offers! Susanna Buffo: One of your latest “special works” in Visconti was my “Giardino dell’Eden” pen, that Visconti produced for the 20th anniversary of online sales of my website. Will Pineider make custom pens as well? Dante Del Vecchio: Yes, I’m making right now a wedding pen for the young Lorenzo Rovagnati, that will get married next year. It will be a very very limited edition, of course, and won’t be for sale. 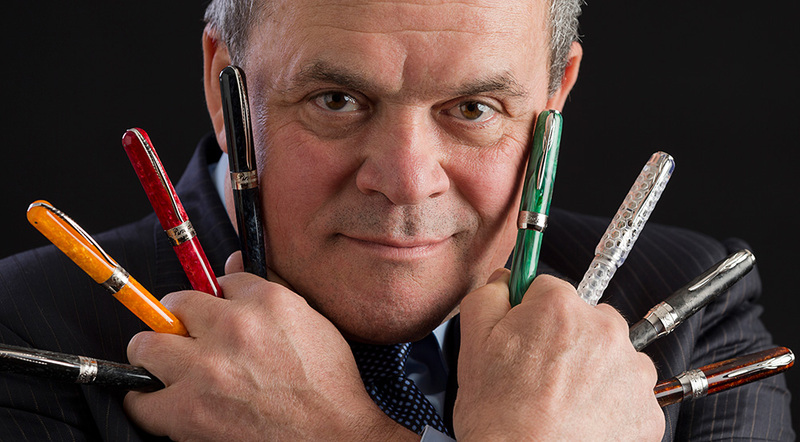 Finally, I’d like to say that even after 30 years, designing and making pens still brings out many emotions. It’s moving to see an idea come true; it’s priceless to receive letters every day from people who admire my work. It’s much more than I could imagine when I started, on October 20th, 1988, when I founded the company that I’ve recently sold! Hats off the great master. I have never bought a Visconti but has always been an admirer. There is no other modern brand which has shown so much innovation. It would be awesome to see the Arco rendition, I hope it’s not too expensive :).